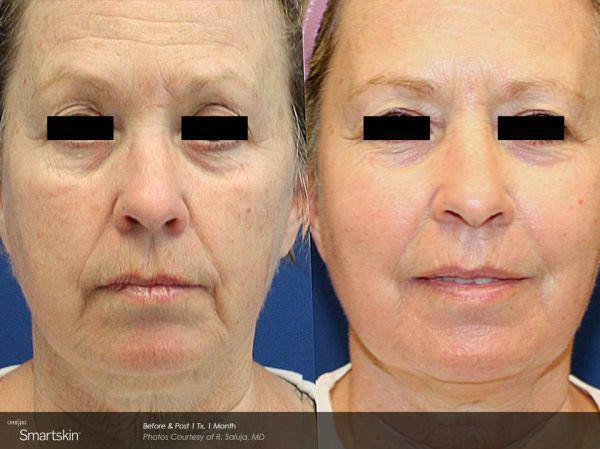 Charlotte Female who desired facial skin tightening without having to do a facelift. Discussed several options and decided to do a Smartskin fractional CO2 laser to help with the eyelid drooping and tightening of the skin. The wrinkles under the eye begin to show themselves in our late 30's onward. Sometimes the area is helped when filling the tear trough or addressing the midface facial flattening. 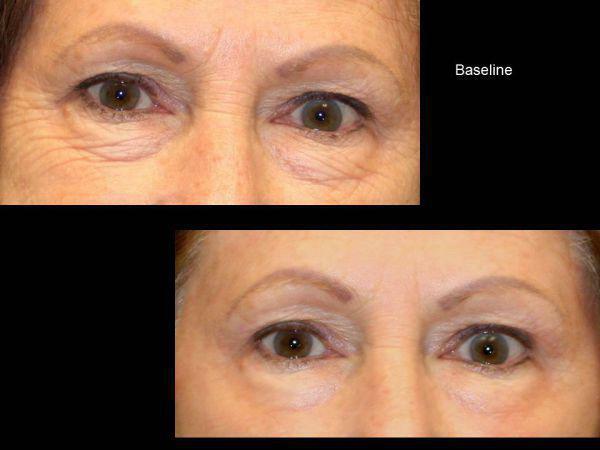 The best laser to treat this area is a fractional CO2 laser around the eyes. There is a downtime of 4-5 days where the skin becomes darker and then peels, however, the results are quite visible even with just one laser. 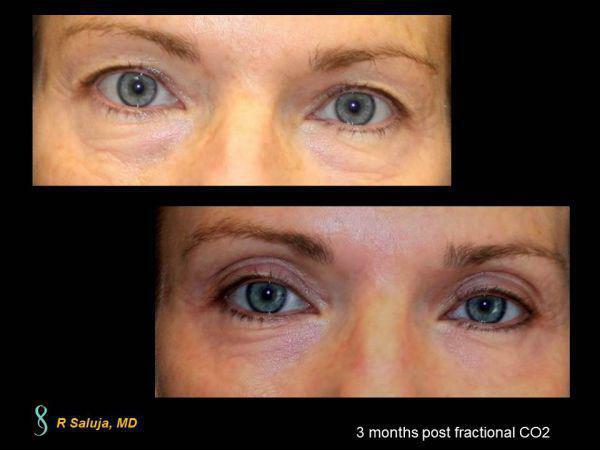 While it takes around 6-9 weeks to truly begin to see the collagen stimulation post fractional CO2 laser, there is some immediate tissue tightening. 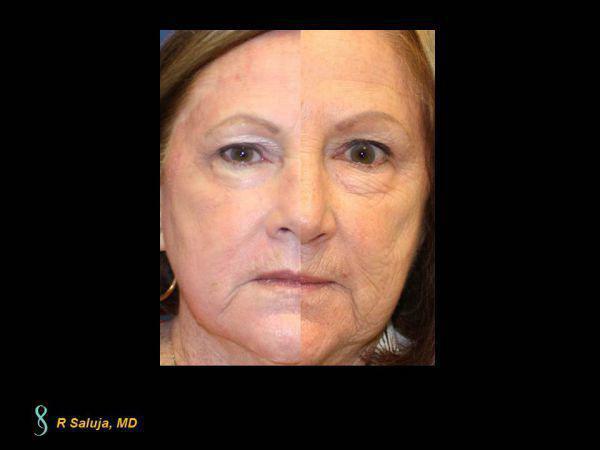 This is a photo of a Charlotte, North Carolina female who is 1-week post Smartskin Fractional CO2 laser treatment. 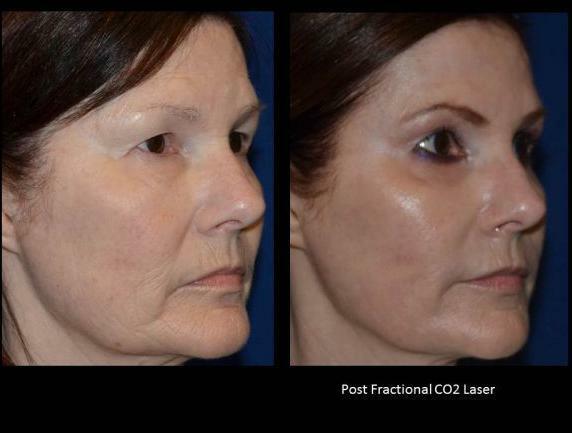 One of the best ways to improve the texture and tone of your skin in Charlotte, North Carolina is with a fractional CO2 laser. While there is a downtime of around 4 days, the laser treatment allows for collagen regeneration and leaves the skin looking younger.